The Dell U2410, also known as the Dell UltraSharp U2410, offers professional designers, photographers, video editors, and alike the needed color accuracy and work space with its IPS panel and 16:10 aspect ratio. The extensive connectivity will satisfy a wide range of users as it provides you with all the standard ports and even some extra USB and audio ports as well. You can also connect multiple devices to the monitor and have both displays on one screen thanks to the exclusive Picture in Picture and Picture by Picture modes. 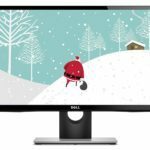 The Dell U2410 monitor offers PremiumColor technology which produces stunning image quality and color accuracy of 110% color gamut1 for all of its 1.07 billion colors. Furthermore, the monitor covers 100% of the sRGB color spectrum and 96% of the Adobe RGB, giving professional designers and photographers all the necessary requirements they need for their work. The IPS panel of the Dell UltraSharp U2410 delivers stunning image quality with vibrant and consistent colors that will besides giving the professional designers adequate conditions for their work, provide an immersive gaming and movie watching experience as well. The IPS panel also ensures that the perfect display stays that way no matter at what angle you’re looking at the screen, as it offers viewing angles of 178 degrees both horizontal and vertical. Along with the 24″ screen and the 1920×1200 resolution, the 16:10 aspect ratio provides you with more work space for designing, programming, and video/image editing. The monitor can, however, also be set to the more standard 16:9 aspect ratio when you wish to watch a movie. The response time of 6ms of the Dell U2410 eliminates ghosting of objects on the screen, which allows you to enjoy a crisp and fluid viewing experience without encountering blurring and shadowing when moving items across your desktop. Moreover, in video games and movies, the fast moving objects won’t leave a blurry trail behind them. The 12-bit internal processing along with the 80,000:1 contrast ratio and the brightness level of 400cd/m2 ensure the accuracy of color tones even in the lowest grayscale levels which make for highly detailed and distinguishable objects even in the darkest areas. The monitor is factory calibrated, but in its OSD settings menu, you have a wide range of possibilities for the further custom calibrating. The 6-axis color setting allows you to manually adjust the saturation, gain, offset and hue levels of the red, green, blue, yellow, magenta and cyan colors in the Custom Color mode. The OSD menu buttons of the Dell UltraSharp U2410 display are capacitive-touch and placed on the bottom right side of the bezel. The capacitive-touch buttons are responsive to the lightest touch, unlike the usual clunky buttons which require forceful pressing, which makes the navigation through the OSD settings easy and quick. The icons displayed next to the buttons shine in a warm blue light which contributes to the aesthetic beauty of the monitor. The buttons can be used to quickly navigate between the presets, change input sources, and adjust brightness and contrast when not in the OSD menu. Once you enter the main menu, you will access to more thorough setting options such as the auto-adjustment feature, display settings, Picture in Picture and Picture by Picture settings, and the Color Settings which allow you to adjust the gamma, hue, saturation, etc. There are eight well-optimized presets which should be set depending on your activity on the screen. These presets include the Game, Movie, Warm Color, Custom Color, Multimedia, Adobe RGB, sRGB and a Standard mode. The Dell U2410 IPS monitor is available in a black and silvery gray colors which along with a somewhat thin bezel of the monitor make for an elegant but modern look. The monitor offers a wide range of ergonomic functionalities include the ability to tilt for 25 degrees, swivel to the left and right, height adjustment up to 100m, and pivot for 90 degrees into the portrait position. Moreover, this monitor is VESA mount compatible if you decide to place it on the wall and save some desk space. The screen of the monitor is covered with a matte finish which provides an anti-glare protection. The Dell U2410 also has a cable management system which allows for neat and tidy routing of your cables through a practically placed hole on the monitor. The Dell U2410 display provides you with an extensive range of connectivity, assuring that you can connect any device you might have. Besides the standard video ports such as the HDMI, DisplayPort, VGA, and two DVI ports, this monitor also has additional composite and component inputs for other video devices such as gaming consoles. Additionally, there are five USB ports, four downstream and one upstream, an audio line in port, and a media card reader. The DVI ports have the HDCP (High-bandwidth Digital Content Protection) which protects your content from illegal copying. The connection of multiple video devices can be displayed on the one screen of the Dell U2410 PC monitor by using the Picture in Picture or Picture By Picture modes which allow you to have the secondary video displayed either in a corner of the main screen or side by side. In the box of the monitor, you will receive all the necessary cables including the power cable, a DVI cable, a DisplayPort cable, a VGA cable, drivers, setup guide, safety information, and a calibration report. 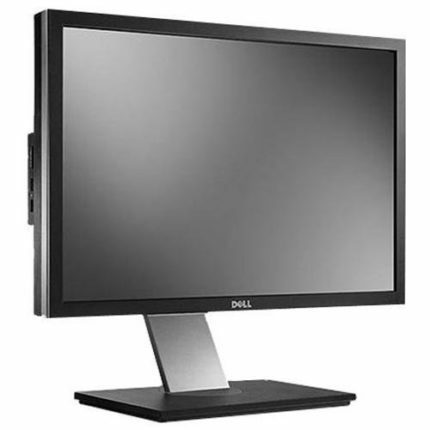 Nowadays, the Dell U2410 monitor is available for under $200 from its original price of around $600 several years ago. Not so long ago this monitor was the high standard thanks to its impeccable color accuracy and now it’s reached an affordable price yet it still provides you with the amount of color accuracy that even many newer monitors lack but cost more. The screen size of 24″ is perfectly sufficient for plenty work space and immersive gaming, plus you have extra space for work thanks to the 16:10 aspect ratio. 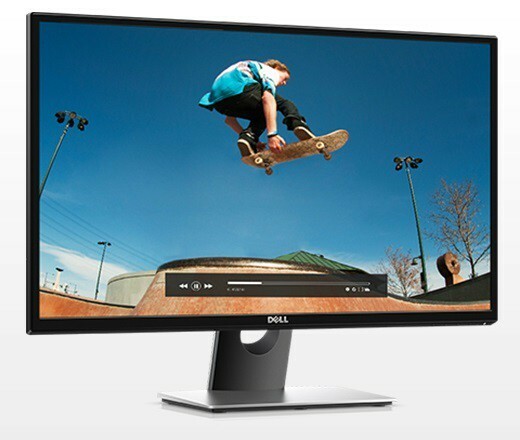 Although the new monitors quickly raise the standard, the Dell U2410 still maintains its place of the affordable professional monitor which delivers adequate color accuracy, extensive connectivity and ergonomic functionality, and crisp picture quality with vibrant and flawless colors. The Dell U2410 display makes for the ideal monitor for professional and aspiring designers who need flawless color accuracy for their work. On the other hand, gamers will be captivated by the exceptionally vibrant and vivid details in video games. The fact that the monitor is factory calibrated allows you to instantly enjoy brilliant picture quality and immerse into gaming or working with more enjoyment. The overall mark of this amount to 8/10 due to its extensive connectivity and ergonomic features which complement the perfect image quality and color accuracy. 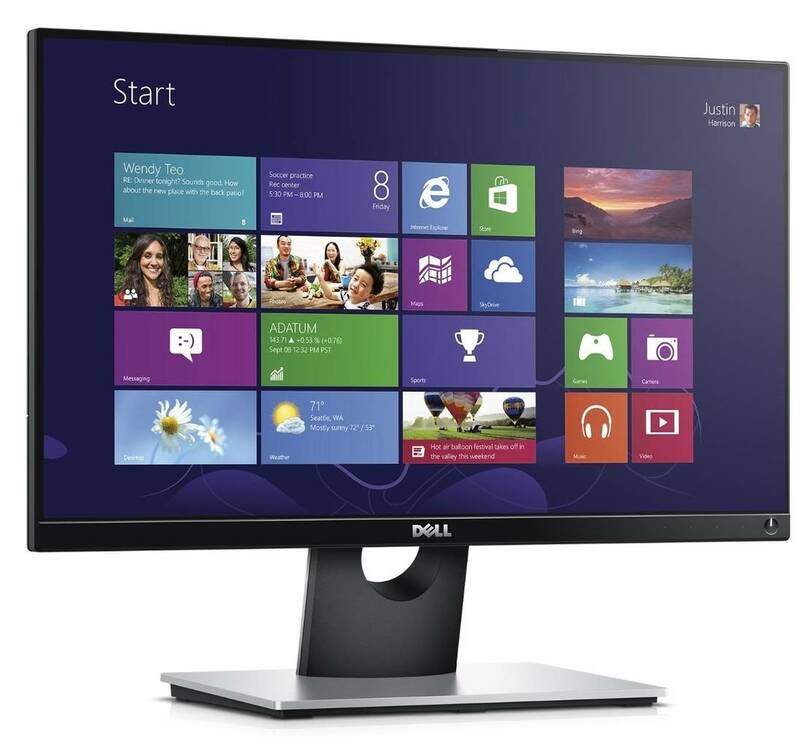 The Dell U2410 is a special PC monitor, which features like a 16:10 aspect ratio and a 1920×1200 resolution, IPS panel and support for 1.07 billion colors.